Meditation chairs are one of the most important types of meditation furniture to buy. When you are meditating it is vital that you sit with good posture. Otherwise you will find that your knees and back hurt while meditating. In fact, of the many health risks from meditating, spinal injury is one of the worst. When you sit meditating for hours on end you can seriously injure your spine. And if you think that this has already started to happen, you need to make some changes. Start by getting yourself a good meditation cushion. At the same time, you will want to get one of the best meditation chairs. Let me share with you my picks of the best meditation chairs to buy. 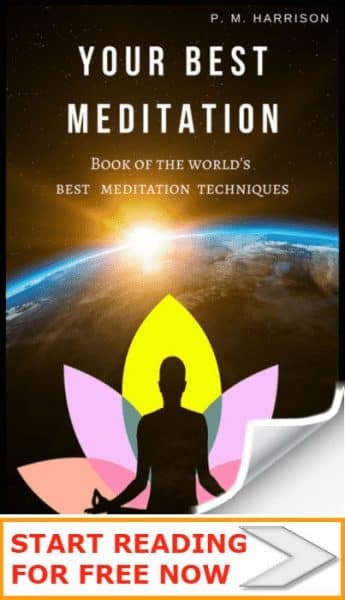 There are 8 types of meditation chair that I recommend. Also checkout these yoga chairs. 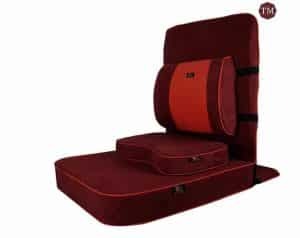 The Friends Of Buddha: Buddha Bliss Meditation Chair was specifically designed to make Satsang (sacred gathering) and retreats more comfortable. Naturally, when you are meditating at a retreat you need a good meditation seat, one you can sit in for extended periods of time. Another great thing about this meditation chair is that I found it very easy to travel with. The Buddha Bliss chair is fully foldable, so you can easily squeeze it in the back of your car. This seat is ideal for people under 5 foot 9 (which sadly means it is not ideal for me, at 5 foot 11). If you’re looking for a meditation chair with back support for tall people this might not be ideal. As a bonus, it comes with a small cushion that is firm. Very comfortable for people who are 5 foot 9 and under. Looks exactly like it does in the image. Good for extended periods of sitting. Not suitable for people over 5 foot 10. The Ikuko Wooden Meditation Bench was designed to make sitting down feel more natural by making you sit in a relaxed way and with good posture. It was specifically designed for lotus and half-lotus positions. The maker notes that you can also sit in other positions when using this bench. And of course, you don’t just have to use it for meditating either, it’s a great bench for sitting to have a cup of green tea. The bench features an open sitting angle and helps you to sit up straight without slouching. This puts your spine in good alignment to prevent spinal injury. When you sit in the Ikuko Wooden Meditation Bench you feel your chest opening, which is excellent for the passage of chi and for helping to open your chakras. One of the neat little bonuses of this meditation bench is that you can dismantle it, so it is easy to carry when travelling. Not ideal for taller meditators. When you’re looking to buy a meditation chair, floor chairs are a good choice. Floor chairs offer the same support as a regular chair while also being incredibly portable. You can easily put this chair in your car whenever you go to a meditation retreat or on a hike. It’s also lightweight and small. The Back Jack Floor Chair’s ergonomic design makes it perfect if you have back problems. And some people have said that using these chairs doesn’t just prevent you from feeling back pain but actually helps to cure back problems. 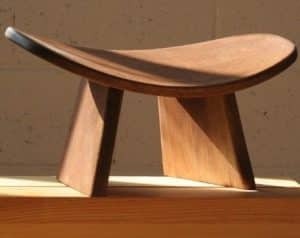 However, this ergonomic meditation chair can be a little bit rickety, and its minimalist design won’t serve as a focal point in your meditation room. That said, this is definitely one of the most reliable meditation chairs and offers great support. When you’re looking to buy a meditation chair, comfort is top priority. The Alexia meditation seat is so comfortable that you will never want to leave it. It is custom built exclusively for meditation and it provides everything you need from a good meditation seat. You can feel this seat supporting your body in the right places, and because of that support it is very easy to get comfortable and meditate. This is actually one of the very best meditation chairs back-support wise. On the negative: This is one of the larger meditation seats and is not for travel. It is a permanent piece of furniture to be put in your meditation room and left there. One of the best things about this seat is that there are lots of colour options and you can also get it in vegan-friendly materials, which is a very good thing as we all know how important it is to love and support nature. If you’re looking for an ergonomical meditation chair with back support this is a good choice. This non-slip memory foam seat cushion helps to cradle your hips for better posture. It features a very unique design with a centre that is shaped like a bowling pin. This bowling-pin space in the middle increases ventilation to stop the cushion from getting too hot. So, if you don’t like a warm bottom, you’ll love this. 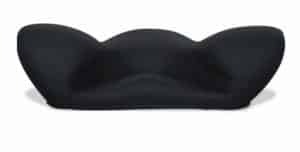 The Zen meditation seat is particularly helpful for “relief for Prostate, Hemorrhoid, Sciatica, Hip, Lower & Upper Back, Tailbone, Pregnancy Pain.” So if you have any of those conditions this is the best meditation chair to buy. As you can see from the image, you can also place this seat in a wheelchair, which is perhaps its most unique feature. Soft and offers plenty of give. One of the most versatile seats. Compresses significantly when you sit on it. You will likely have noticed that it is hard for tall people to find the best meditation chair to buy. Thankfully, the Acacia Wood Meditation Bench solves that problem. 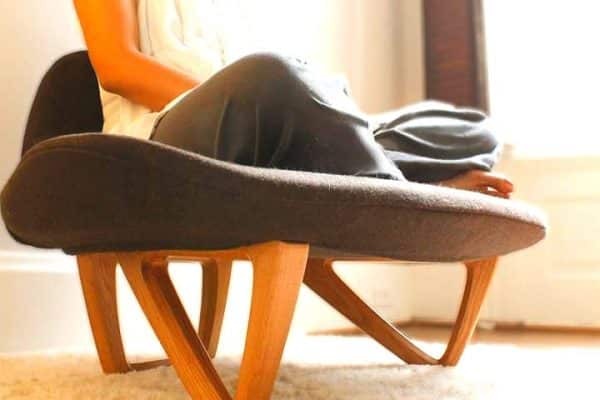 This is one of the best wooden meditation chairs on the market. This is one of the best wooden meditation chairs for people up to 6 foot 1. And it is of a very high quality build. In fact, this is arguably the most high quality build meditation seat that there is. But there is a catch. It cannot be dismantled, which means that it is also one of the more difficult seats to travel with. With this wooden meditation chair you get a trade off. It is very comfortable, and it is of high quality build, but it is heavy and hard to move. So if you want a meditation bench that you’ll keep in one place, this is perfect. But if you want to travel with it, look elsewhere. 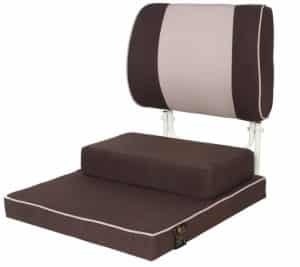 Designed by a registered yoga teacher and Osho meditation facilitator, this large meditation chair (with an even larger name) fits people up to 6 foot 2 inches, which makes it one of the best choices for taller meditators. This Osho meditation chair is very comfortable and makes it easier to sit in lotus position. I personally find this much more comfortable than a wooden meditation chair. If you have back pain you will find this seat very beneficial, especially with its additional backrest, which offers lower back support. 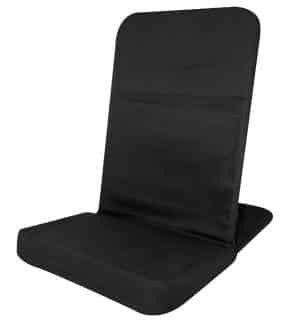 As a nice bonus, this Osho meditation chair comes with a complimentary bag for travelling, and it is fully foldable. All in all, this is one of the best meditation seats for taller people and those who like to travel. 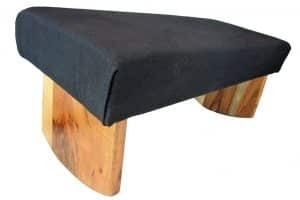 This is a beautiful meditation bench that takes the weight off of your legs. This meditation bench is perfect for people who prefer to kneel when meditating. And the best thing about this bench is that it is handmade to an exceptionally high quality, so when you put it in your meditation room it really adds a focal point. One of the problems with kneeling when meditating is that your legs fall asleep, and that prevents you from focusing on your meditation. This meditation bench offers a solution to that problem by letting you kneel in a natural position without the usual discomfort. Plus, in my experience, the cushion offers just the right amount of support. The wood on this meditation chair is light but strong and made of sustainable harvested pine timber. 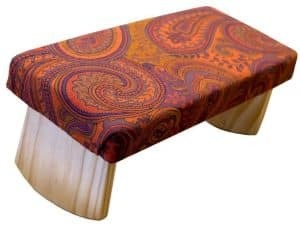 This is not a foldable meditation bench so it is not ideal for travel. But this is a trade-off because while you lose portability you gain durability and sturdiness. Not the best meditation chair for back support. Meditation chairs are one of the most important meditation tools. In my guide to creating a room for meditation, I recommended that you get both a meditation seat and cushion. Both are reasonably inexpensive items, and both will do wonders for you. Well, let me ask you: Have you ever tried meditating on the bus? I personally take the bus everywhere because I love to help the environment. And I always meditate on the bus because it is a challenge. The uncomfortable chair makes it difficult to relax and the other passengers make it hard to focus. That’s a bad meditation chair. A good meditation seat does the opposite. The best meditation chairs have back support that is specifically designed to support good posture so you can find your Zen when meditating. Sitting in one of those chairs, you will feel just…. groovy. It’s very important to be comfortable when meditating, otherwise you will not focus properly (especially if you’re using specific sitting positions, like those in Zen meditation). Put simply: Get a good chair so you can sit comfortably and focus while you meditate. Many of THE DAILY MEDITATION’s readers were surprised when I revealed the health risks of meditation. One of the risks is that you will damage your spine by sitting with bad posture. This wont happen if you get a good chair. When you get a good meditation chair, two good things will happen. Firstly, your seat will help you to sit with good posture when meditating. This helps to support your body and to prevent injury. This is huge for people who sit when meditating. And it’s one of the main reasons why for a good meditation chair back support is an essential. Secondly, a good meditation seat will stop you fidgeting, so you can focus. Regardless of the design, fabric, color, and other aesthetic choices, those two purposes are paramount. You will know that a meditation chair is bad when it does not achieve those two things. When you purchase a buy a meditation chair, make sure it offers good spinal support, and helps you to focus. When you sit in it you should feel relaxed; not tired, not lazy, but relaxed and focused. Help you sit in the right postures. Also consider whether you will be travelling or hiking with it, and how that affects your decision. Oh yeah, and they’re also one of the best gifts for meditators / Buddhists. If you get an antique meditation chair, make sure that it is in good condition and not liable to break. A cheap meditation chair may not be durable because it will be made of cheap fabric. That said, there are some cheap meditation chairs that are perfectly acceptable. 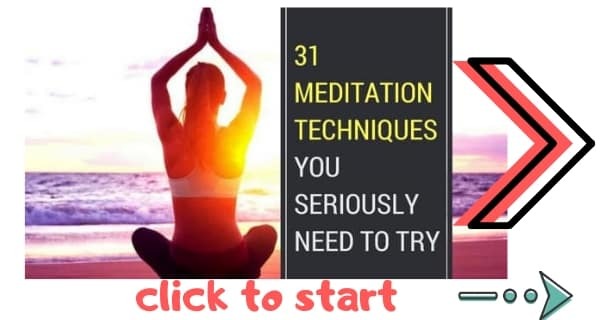 When you’re looking to buy a cheap meditation chair you wont get everything. With a cheap meditation chair you have to choose between design and comfort (choose comfort; after all, this is for meditating, not decorative furniture). If you want to conserve space, you should definitely consider a collapsible meditation chair. It is definitely possible to make a DIY meditation chair, but be honest with yourself, will a DIY meditation seat offer enough back support? If not, is it worth putting your time and effort into making one? (If you want to make it for fun because you love crafts then sure, go DIY nuts, don’t let me stop you, but just be aware that it probably won’t end up as good as a professionally constructed one). There are lots of different types of chairs (Chakra, Dhyana, lotus, Nori, Osho, Tibetan) but regardless of the specific style and design, they should all offer the same benefits, which we’ve looked at above. If you have a small room you might want to look for a foldable meditation chair to buy. This will conserve space. As with any other product, prices vary. How much do meditation chairs cost? From $20 to several thousand (for antiques). 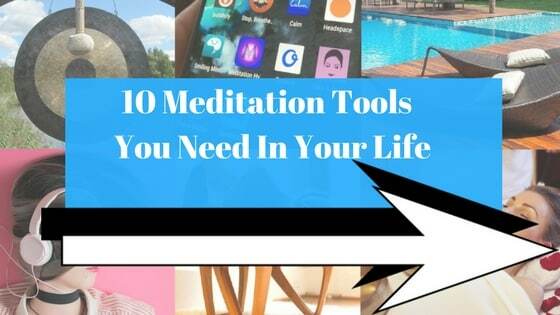 Thanks to the very talented manufacturers on this list, there is a meditation chair for all purposes. When you buy your meditation chair, always remember that the most important things are that it offers good support for your body and that it helps you focus when you meditate. All the meditation seats in this list do precisely that. But remember: You dont have to sit when meditating. You can choose to do movement meditations instead. What do you personally think is the best meditation chair?